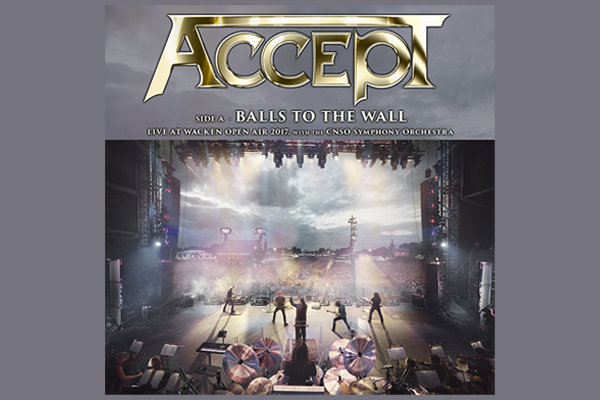 Today, the German heavy metal legends ACCEPT are releasing their very special, limited 10 inch vinyl single „Balls To The Wall / Symphony No.40 in G Minor“ via Nuclear Blast. Both songs on the vinyl are from their upcoming live album »Symphonic Terror – Live at Wacken 2017«, which will be out on November 23rd. The flagshp of German Heavy Metal, ACCEPT, are very pleased to announce the „Rise Of Chaos Festivals 2018“ for the very first time. The events will take place in Germany. After the big success of their latest album “The Rise Of Chaos”, ACCEPT will be playing three “festivals” under the same name. As a platform for interesting, young and dynamic bands, these festivals will be established as a recurring event over the next few years, they will be presented by Continental Concerts to offer a live spectacle to all fans of Heavy Metal.